A study was conducted in order to determine the comparative efficacy of Triclabendazole, Oxyclozanide and Nitroxynil against Fasciola sp. infestated bovines (cattle and buffaloes) and their effect on various blood parameters (WBC, RBC, Hb, HCT and MCHC). For this purpose, 40 infected animals were selected. After dividing them randomly in four groups of 10 animals each, drug was administered to first three groups whereas last one was kept under positive control for comparison. Study revealed that Triclabendazole was most effective drug of all three in both cattle and buffaloes with efficacy of 97.92% and 100%, respectively; Oxyclozanide was 2nd most effective with efficacy of 96.87% and 97.05% % whereas Nitroxynil remained at last with efficacy of 93.47% and 92.15% at 21st day post-medication. A slight increase of egg counts was observed in positive control groups of both animal categories. Blood parameters of healthy and Fasciola infected animals (cattle’s and buffaloes) were compared; specifically, Mean±S.E.M value of WBCs (white blood cells) in infected animals had increased compared to healthy animals. At the same time, significant decrease was observed in RBCs (red blood cells), Hb (haemoglobin), and HCT (hematocrit) in Fasciola infected animals compared to health animals but no significant difference was observed in MCHC (meancorpuscular hemoglobin concentration) quantity within both animal categories. MI designed the project. AW did experiment and sampling. UI, AT and IK compiled and analyzed the data statistically. MI and AW wrote the manuscript. SSA reviewed the manuscript. Triclabendazole, Oxyclozanide, Nitroxynil, Bovine, Fasciolosis. Gastrointestinal parasitism is a world-wide problem for both small-scale and large-scale farmers; and therefore, is a great threat to livestock industry (Saddiqi et al., 2010) parasites, i.e., helminths residing in the GIT tract of animal are provably the major menace to the productivityof animals all across the world, especially in tropics (Githiori et al., 2004). Prevalence of GI helminths have been reported in domestic animals all around the globe which ranges between 0.72 to 84.1% (Fikru et al., 2006; Bundy et al., 1983). In Pakistan, prevalence of GIT helminthiasis has been reported to be ranging from 25.1 to 92% (Khan et al., 2009; Raza et al., 2007). Parasitic infestations especially gastrointestinal nematode and trematode pose serious health threats to domestic animals (Nwosu et al., 2007; Raza et al., 2010). In cattle, the most common trematodes observed are Fasciola hepatica and Fasciola gigantic (Rafiullah et al., 2011). F. hepatica, a trematode causing fasciolosis is a widely prevalent in cattle throughout the world. There are many evidences that the prevalence of liver ﬂuke (Fasciola spp.) is expanding progressively, even in those geographic regions where the parasite was not formally endemic (Pritchard et al., 2005). 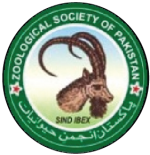 F. hepatica is also observed endemic in buffaloes, cattle, goats, sheep and humans in Pakistan (Qureshi et al., 2005; Iqbal et al., 2007; Ijaz et al., 2009; Khan et al., 2010). This increase is somewhat due to higher autumn and summer rainfall, and this development is likely to persist in future (Fox et al., 2011). Bovine fascioliasis is a systemic infection of cattle caused by the liver flukes, F. gigantica and F. hepatica. It is an important and well established veterinary disease of both domestic and wild ruminants, causing enormous economic losses in livestock industries through animal mortality, growth retardation, sterility, condemnation of affected livers and expense due to control measures (Malone et al., 1998). F. hepatica or F. gigantica migrates through the liver parenchyma and tissue; when it becomes mature, it feeds on the blood of the final host at a rate of 0.2 to 0.5 ml per day per fluke, which leads to severe anemia (Wiedosari et al., 2006). Bovine fascioliasis results in significant blood loss with all associated consequences (Soun et al., 2006); nevertheless, adverse effects depend on the parasite load (Coop and Kryziakis., 2001; Wiedosari et al., 2006). The faecal and blood samples were collected from the field and livestock farms. The blood samples from 24 (n=12 cattle, n=12 buffaloes) naturally infected (Fasciola spp.) and 24 (n= 12 cattle, n=12 buffaloes) healthy animals were collected at day zero before medication for comparison of various blood parameters (WBC, RBC, Hb, HCT and MCHC). Blood samples were later analysed using Haematological analyzer. In cattle, when comparison on efficacies was made, Triclabendazole was observed to be the most effective drug of all three with efficacy of 52.08 %, 85.42 % and 97.92% at days 7, 14 and 21, respectively. Oxyclozanide was the second most effective drug in cattle with efficacy of 48.43%, 85.93% and 96.87% at day 7, 14 and 21, respectively. Nitroxynil was least effective among the three with efficacy of 47.82%, 82.6% and 93.47% at day 7, 14 and 21, respectively. In buffaloes, a similar comparison on efficacies was made. Triclabendazole was observed to be the most effective drug of all three with efficacy of 52.27 %, 88.63 %and 100 % at days 7, 14 and 21, respectively. Oxyclozanide was the second most effective drug with efficacy of 50%, 88.23%and 97.05% at day 7, 14 and 21, respectively. Again, Nitroxynil remained at the last with efficacy 47.05%, 82.35% and 92.15% at day 7, 14 and 21, respectively. In control group, a slight increase in EPG was observed at day 21stcompared to day zero in cattle as well as buffaloes. Table I.- Effect of drugs on EPG (mean ±SD) after different days of treatment in cattle and buffaloes. EPG, egg per gram of faeces; DE, drug efficacy. whereas it decreased to 4.06±0.402 cells/mm3×106 in infected animals group. Mean difference of 3.185±0.248 cells/mm3×106 was noted between infected and healthy animal group which is a significant decrease with p-value = 0.011 < (α = 0.10). The haemoglobin (Hb) content observed in healthy animals group was 11.32±0.41 g/dl whereas it decreased to 6.83±0.13 g/dl in infected animals group. Mean difference 4.50±0.43 g/dl was noted between infected and healthy animal group which is a significant decrease with p-value = 0.004< (α = 0.10). The hematocrit (HCT) observed in healthy animals group was 33.98±1.06 % whereas it decreased to 21.96±0.37 % in infected animals group. Mean difference 12.02±1.12 % was noted between infected and healthy animal group which is a significant decrease with p-value = 0.000< (α = 0.10). The mean corpuscular hemoglobin concentration (MCHC) observed in healthy animals group was 31.52±0.28 %, whereas it was 31.0±0.22 % in infected animals group. Mean difference of 0.52±0.35 % was noted between infected and healthy animal group which has no significance with p-value = 0.533 > (α = 0.10). Table II.- Comparison of hemetologic parameters (Mean ± SEM) in infected and healthy cattle and buffalo groups. In buffaloes the WBC’s observed in healthy buffalo was 8017.5±378.34 cells/mm3 whereas it increased to 15932±733.52 cells/mm3 in infected animals group. Mean difference of 7914.17±823.98 cells/mm3 was noted between infected and healthy animal group which is a significant increase with p-value = 0.007< (α = 0.10). The RBC’s observed in healthy animals group was 7.347±0.213 cells/mm3×106 whereas it decreased to 4.153±0.115 cells/mm3×106 in infected animal groups. Mean difference of 3.194±0.242 cells/mm3×106 was noted between healthy and infected animal group which is a significant decrease with p-value = 0.010< (α = 0.10). The Hb observed in healthy animals group was 11.40±0.467 g/dl whereas it decreased to 6.90±0.141 g/dl in infected animals group. Mean difference of 4.50±0.487 g/dl was noted between infected and healthy animal group which is a significant decrease with p-value = 0.001< (α = 0.10). The HCT observed in healthy animals group was 34.196±0.963% whereas it decreased to 22.209±0.383% in infected animals group. A mean difference of 11.987±1.036% between infected and non-infected animal group was calculated which is a significant decrease with p-value = 0.007< (α = 0.10). The MCHC observed in healthy animals group was 31.542±0.253 % whereas it was 31.017±0.220 % in infected animal groups. Mean difference of 0.525±0.336 % was noted between infected and non-infected animal group which has no significance with p-value = 0.836> (α = 0.10). The anthelmintic efficacy result of triclabendazole was in accordance with Gurlap et al. (1984) who described efficacy of triclabendazole in sheep (Fasciola sp.) more than 99%. Our results are also supported by Rapic et al. (1988), who described efficacy of 100 percent for triclabendazole against F. hepatica in cattle. Richards et al. (1990) recorded mean efficacies of triclabendazole to be 88.1, 95.3 and 90.7 % against one-, two- and four-week-old early immature flukes, respectively. Sanabria et al. (2013) and Wolf et al. (1983) also recorded 100% efficacy of triclabendazole against naturally F. hepatica infected sheep. Keyyu et al. (2006) described triclabendazole efficacy of 100 % against F. gigantica in cattle. The results on anthelmintic efficacy of oxyclozanide were in accordance with Shokier et al. (2013), who recorded the efficacy of oxyclozanide to be 100 % against Fasciola sp. Paraud et al. (2009) recorded that oxyclozanide reduced the worm burdens to 95.9%. Later, 96% efficacy of oxyclozanide as flukicide was also recorded by Athar et al. (2011). Mooney et al. (2009) also reported more than 98% efficacy for oxyclozanide in sheep against F. hepatica. The results obtained for nitroxynil were in accordance with Durrani et al. (2007), who determined percentage efficacy for nitroxynil as 93.88% against fasciolosis with no side effects after medication. Rapic et al. (1988) determined 95.0 percent efficacy of nitroxynil in cattle against fasciolosis. Dobbins et al. (1982) described efficacy of nitroxynil to be 88.5 % in cattle against Fasciola sp. Almost similar results for WBC’s were also reported by Egbu et al. (2013), who observed notable increase in WBC’s of infestated animals compared to the healthy animals with increase in worm load. Doaa et al. (2007) also observed significant increases in the total count of WBC’s of infected animals compared to the healthy animals. Martinez-Valladares et al. (2010) also reported higher white blood cells counts in infected animals than the reference range. A similar set of results were also reported by Egbu et al. (2013) for RBC’s and Hb who observed notable reduction in RBC’s and Hb of infected animals compared to the reference count. Leka et al. (2005) and Doaa et al. (2007) also observed significant decrease in the counts of RBC’s and Hb of infected animals compared to the reference count. Last but not the least, an identical set of results for PCV/HCT was also reported by Egbu et al. (2013) and Doaa et al. (2007), who observed notable reduction in PCV of infected animals compared to the healthy animals. Almost similar results for MCHC were also reported by Egbu et al. (2013), who observed “no” notable difference between MCHC of infected and normal animal. This work was completed in partial fulfillment of the requirements for the M. Phil degree in Clinical Medicine at University of Veterinary and Animal Sciences, Lahore, Pakistan. We are thankful to Higher Education Commission (HEC), Islamabad for the financial support to conduct this study. Athar, L.A., Khan, M.N., Sajid, M.S., Rehman, T.U. and Khan, I.A., 2011. Cost benefits analysis of anthelmintic treatment of cattle and buffaloes. Pak. Vet. J., 31: 149-152. Bundy, D.A.P, Arambulo, P.V. and Grey, C.L., 1983. Fascioliasis in Jamaica: Epidemiologic and economic aspects of a snail-borne parasitic zoonosis. Bull. Pan. Am. Hlth. Org., 17: 243-258. Doaa, F., Soliman, E.K. and Abd El-Khalek, T.M., 2007. Effect of fascioliasis on hematological, serum biochemical and histopathological changes in sheep. Egyptian J. Sheep Goats Sci., 2: 15-33. Fikru, R., Teshale, S., Reta, D. and Yosef, K., 2006. Epidemiology of gastrointestinal parasites of cattle in Western Oromia, Ethiopia. Int. J. appl. Res. Vet. Med., 4: 57-64. Ijaz, M., Khan, M.S., Avais, M., Ashraf, K., Ali, M.M. and Khan, M.Z.U., 2009. Infection rate and chemotherapy of various helminths in diarrhoeic sheep in and around Lahore. J. Anim. Pl. Sci., 19: 13-16. Leka, O., Al-Quraishy, A. and Al-Moussawi, M., 2005. Effect of Fasciola gigantica infection on some blood physiological and biochemical aspects of infected cows in Babylon Governorate. College of Medicine, University of Babylon. Qureshi, A.W., Tanveer, A., Qureshi, S.W., Maqbool, A., Gill, T.J. and Ali, S.A., 2005. Epidemiology of human fasciolosis in rural areas of Lahore, Pakistan. Punjab Univ. J. Zool., 20: 159-168. 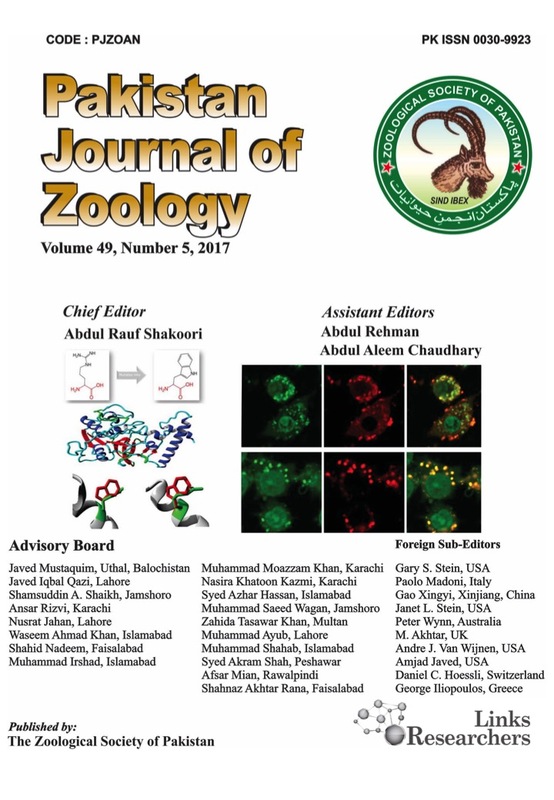 Rafiullah, T.A.A., Sajid, A., Shah, S.R., Ahmad, S. and Shahid, M., 2011. Prevalence of gastrointestinal tract parasites in cattle of Khyber Pakhtunkhwa. J. Agric. biol. Sci., 6: 9-15. Raza, M.A., Murtaza, S., Bachaya, H.A., Qayyum, A. and Zaman, M.A., 2010. Point prevalence of Toxocara vitulorum in large ruminants slaughtered at Multan abattoir. Pak. Vet. J., 30: 242-244. Raza, M.A., Iqbal, Z., Jabbar, A. and Yaseen, M., 2007. Point prevalence of gastrointestinal helminthiasis in ruminants in southern Punjab, Pakistan. J. Helminthol., 81: 323-328. Richards, R.J., Bowen, F.L., Essenwein, F., Steiger, R.F. and Buscher, G., 1990. The efficacy of triclabendazole and other anthelmintics against Fasciola hepatica in controlled studies in cattle. Vet. Rec., 126: 213-216. Saddiqi, H.A., Iqbal, Z., Khan, M.N. and Muhammad, G., 2010. Comparative resistance of sheep breeds to Haemonchus contortus in a natural pasture infection. Int. J. Agric. Biol., 12: 739-743. Shokier, K.M., Aboelhadid, S.M. and Waleed, M.A., 2013.Efficacy of five anthelmintics against a natural Fasciola species infection in cattle. Benisuef Univ. J. Basic appl. Sci., 2: 41-45.